It was another brownie for breakfast morning. 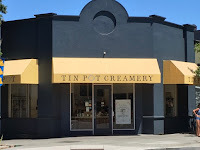 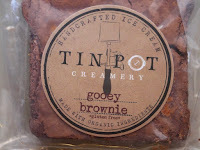 This gluten free Gooey Brownie from the Tin Pot Creamery (Palo Alto, CA) managed to be perfectly firm on the outside and rich and gooey (as advertised) on the inside. 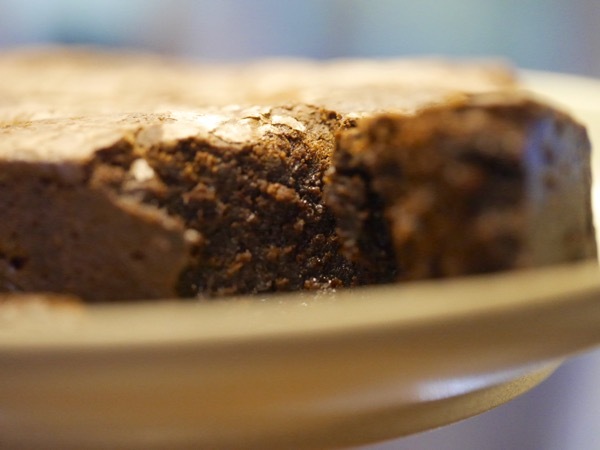 This brownie also kept well in the refrigerator, although nothing beats a fresh, right-out-of-the-oven brownie. 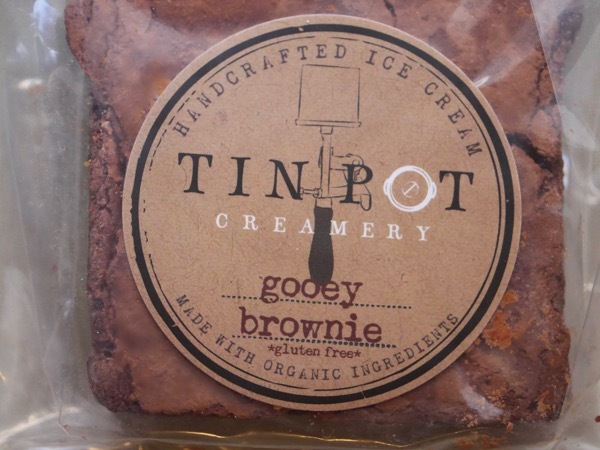 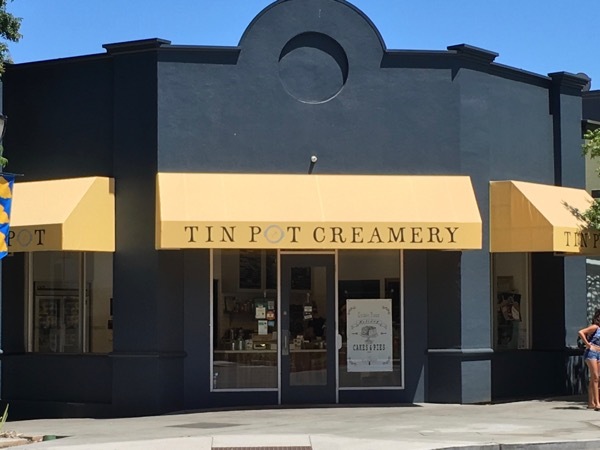 If you're local (to the SF Bay Area), I also recommend Tin Pot's gluten free Chocolate Walnut Cookie—which had a moist brownie quality to it.